Albert Jones, MD, at Unity OB/GYN, Clinton Crossings, is retiring on July 6. Dr. Jones has been a practicing OB/GYN in our community for over 40 years, and 17 of those years have been with Rochester Regional Health. 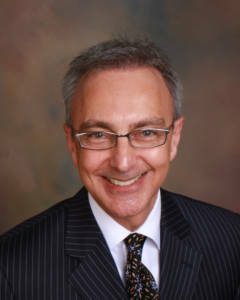 Dr. Jones was the Chair of the Department of OB/GYN until 2017. Highlights of Dr. Jones’ career include department expansion, implementation of the robotic program at Unity, and recognition with two teaching awards from the University of Rochester. During his career, he never thought any job was too small, and was a role model for perseverance. Dr. Jones is looking forward to spending more time traveling and watching his granddaughter grow. A patient reception will be held in his honor on Wednesday June 20 from 5-7 pm at the Unity OB/GYN at Clinton Crossings, with an invitation extended to employees. A hospital reception will be held on July 2 from 4-6 pm in the Riley Board Room at Unity Hospital. Please join RRH in thanking Dr. Jones for his prestigious years of service and wishing him well on his retirement. Posted June 19, 2018 under _Featured Stories List, Nurses, Physicians, Unity Hospital.